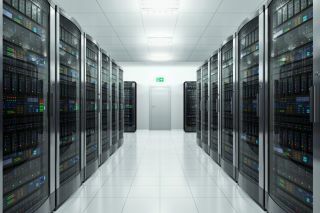 ODMs still managed to outsell the top server suppliers. Dell managed to overtake HPE in terms of both revenue and units sold in IDC's latest server quarterly tracker while white boxes were in strong demand by hyperscalers. Inspur also managed to surpass Huawei, Lenovo and Supermicro though ODMs outsold all individual suppliers as hyperscale buyers pushed the white-box sector to new heights. During the first quarter of 2018, the worldwide server market's revenues increased by 38.6 per cent year-over-year to reach $18.8bn with units shipped increasing by 20.7 per cent to 2.7m. Dell, HPE, Lenovo, IBM and Cisco took the top five spots though ODM direct sales managed to bring in 4.5bn. Dell's server revenue came in at 3.59bn for the quarter while HPE was slightly behind at 3.5bn. "Hyperscale growth continued to drive server volume demand in the first quarter. While various OEMs are finding success in this space, ODMs remain the primary beneficiary from the quickly growing hyperscale server demand, now accounting for roughly a quarter of overall server market revenue and shipments." IBM's mainframe refresh led to it controlling a larger part of the server market during Q4 2017 while HPE and Dell tied for top supplier in terms of revenue with Dell's revenues growing more than twice as fast as HPE. However, ODMs still shipped more units than Dell due to demand for white boxes.